Montecito, California is home to some of America's most spectacular private residences. Most amazing perhaps is Val Verde, the house built in 1915 on a breathtaking seventeen-and-one-half-acre coastal plot by American architect Bertram Goodhue. Besides its status as the most preserved of the great early-twentieth-century Southern California estate properties, Val Verde also bears the distinction of being the earliest American free-standing single-family house in the Spanish Colonial Revival style. 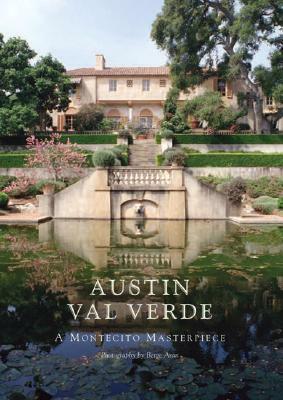 Austin Val Verde: A Montecito Masterpiece is the first book to reveal the full extent and richness of Val Verde's architecture, interiors, and gardens. The book includes never-before-published color photographs of the house and its gardens by the late Berge Aran that capture the enchanting spirit of this American architectural icon and give the reader the rare opportunity of exploring this wonderful place, inside and out. Berge Aran received a degree in architecture and a PhD in the history of architecture from Istanbul Technical University. In 1997 he began a three-year project, a color photographic essay on Austin Val Verde, which resulted in an almost unprecedented documentation of a specific site. He died in 2000.